Hey there! I know it's a Monday and I am posting a new card which is not my usual, but wanted to share with you this adorable digi that Jane created for this cause. Isn't she the sweetest? Bless you Jane! 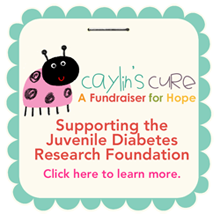 The cause is near to me since several members of my family have/had diabetes. You can read all about it here. 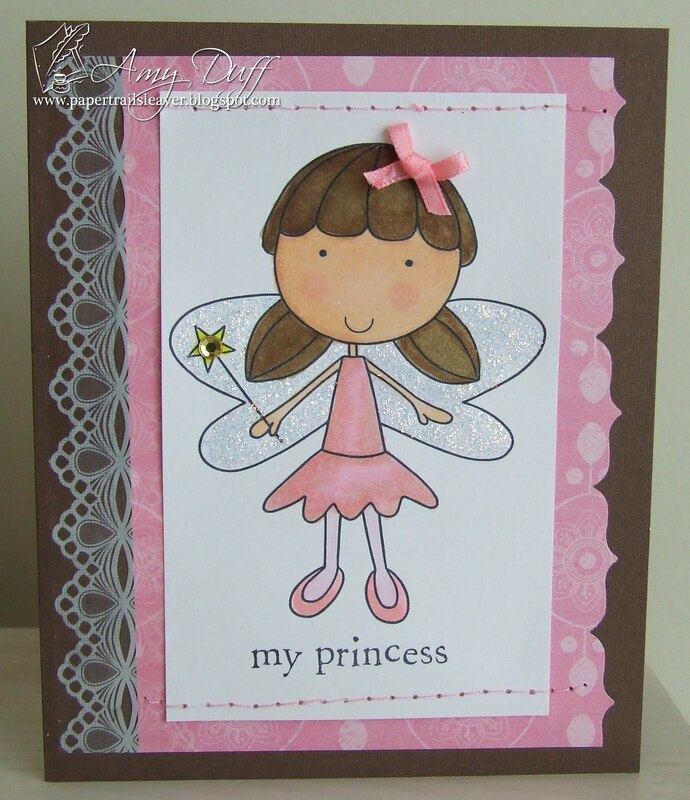 Fairy Klara is available here for you to purchase and all proceeds go to Caylin's Cure. Thanks for stopping by and hope you will hop on over to the Caylin's Cure to read about this great fundraiser. This is a sweet image and I love that pretty border! Absolutely great cause my dad sis and daughter are diabetics. Hi Amy! Your card is fabulous. the little princess is such a fun image and for such a great cause. Have a wonderful Mother's Day! Awww.... this is so adorable, great cause too, thanks for sharing your lovely work Amy! such a sweet card, Amy! love that cute little bow in her hair! super card! Such a sweet card - cool to see the washi tape in action!